How to make a robot for school project? Your kid can now participate in ROBO-LYMPICS and showcase his/ her skills to the world. Yes, you heard it right. Just think about the Olympic Games, now instead of human athletes, put robots as competitors. Super awesome isn’t it? ROBO-LYMPICS is a program that is sponsored by the Defence Advanced Research Projects Agency, commonly known as DARPA. The company is organizing this event to identify innovative robotic designs around the globe. These robots will compete against each other for strength, agility & speed and the competition will test the limits of robots like how it is done for human athletes in Olympics. From rock piling, vertical wall climbing, navigating an obstacle to carrying out a biathlon, the robots will be competed against the world’s best designs to identify the winner. The main objective of this competition is to identify innovative robotics designs and young talents around the world in an organized manner and crown them with the prize. Now instead of grooming your kid to become better at some sports to compete in Olympics, you can actually help them improve their robotics skillsets to compete in ROBO-LYMPICS. Such is the pace in which robotics technology is advancing. Citing to this trend, most of the schools of today have already started preaching the importance of robotics to school students and inculcating various programs to develop the robotics skills in kids. One such initiative most of the schools started is to showcase their school kid’s robotics skills in school science fair or project competition. So, if you are a parent or a well-wisher who want to help the young one you love make their very own robot for school project, then this article is for you. Here are some steps that will help you in making the robot along with the kid for school science project. Analyse your kid’s skills and then decide the robotics project that you want them to do. Remember, the aim is not to win the competition but to give your kid a very good learning experience. The robotics project that you select should be challenging for the kid but not very tough to do. Because doing this robot should boost their confidence not deteriorate it. Do a thorough online survey on robotics projects. You can gather articles, journals, videos or even enrol for a course to get started. Once you had understood the objective of doing this science project, you can then physically start working. Arduino: It is one of the widely used open source platform worldwide by innovators, hobbyists who wish to develop robotics projects on their own. This board is readily available in the market and need to be programmed to carry out a specific robotic action. Raspberry Pi: It is one of the advanced microcontroller board that is being used to develop innovative robotics projects. This is not recommended for kids who are in beginner or moderate level, as programming the robot using this platform needs a very good expertise on Python language. 8051 microcontroller: This platform is a classic example to understand embedded systems and uses C language for programming. If your kid is totally into electronics, then you can select this as a platform to make them understand minute of the details. If you are beginner who wants to build cool robots along with your kids, then we would suggest you to use Arduino as the platform. It gives you a lot of options to customise the robot and also very easy to program. At Skyfi Labs, we have also developed some amazing robotics online courses for school students. These courses use Arduino as its platform and are super easy to do right from your home. You can check the list of robotics projects here. Manual: The robots that need to be controlled manually comes under this category. These type of robots cannot actuate on their own and needs instruction from a user to perform the tasks. Crane is an excellent example for manual robots. Semi-autonomous: These robots take inputs from a user and then perform the tasks on its own. Unlike manual robots, step-by-step instructions are not required to operate these robots. Mobile or Gesture controlled robot is a very good example of semi-autonomous robots. Autonomous: These type of robots are capable of performing the tasks entirely on their own. And doesn’t require any human interference for actuation. 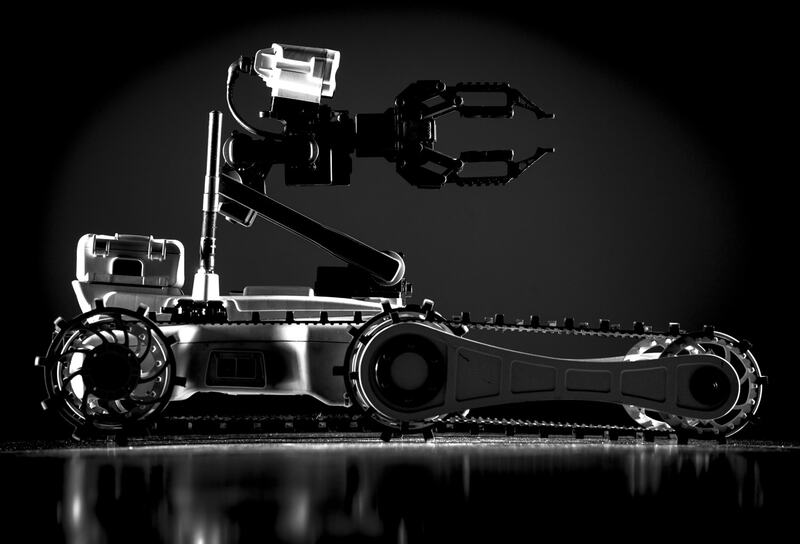 Fire Fighting or Edge Detection robot is a very good example of autonomous robots. You need to select the type of actuation from above and integrate them on your robot. For instance we at Skyfi Labs have developed some semi-autonomous & autonomous robotics courses which is a great way to learn robotics. You can check these project-based robotics courses here. Once you had decided the platform and actuation mechanism of the robot, it is now time to procure them. First identify all the components that you need to build the project, you can refer some videos online or articles/ journals to get some idea. If it is a standard component you can search for some online stores who sell them and order it to your house. But robotics projects involve a variety of hardware components which is very hard to get online, so you need to physically go to some electronics markets and hand pick them. But there is also a great risk in that, the components might not work properly since you have no way of testing them while purchasing it. Even if they work individually, they might not work well with each other. So be very cautious while buying these components, as they don’t come with any guarantee. If you are unsure about the place where you can get the components, you can always purchase school robotics project kit from Skyfi Labs. The robotics components that we send to you are well tested and come with 100% replacement guarantee. You can check the list of available robotics project kits here. Once you got all the components in place, you can start building the robot along with your kid. You can refer some online forums for building instructions or refer videos online to understand the steps involved. You need to be very careful while connecting the electronic components, as any wrong connection will short circuit or damage the microcontroller board. If short circuited, you need to replace all the components which is very tedious and also you will end up losing a lot of time. So proper care should be taken while making the connections. For instance, the school robotics courses that we had developed are equipped with video tutorials which will have clear instructions and a voice over to help you step-by-step. You can check out the first two chapters for free of cost by registering for a demo here. Once you had finished assembling the robot, you need to now program the robot to carry out some specific actions. The programming language that you should use varies with the platform. For example, you need to use C++ programming for Arudino, Python programming for Raspberry Pi etc. First identify the logic to be used to make the robot perform a specific task and then start writing the code. If your robot is based on Arduino, then it is recommended to use Scratch Programming which can be done by simple drag-and-drop mechanism. This will help your kid to understand the concept better. Even the school robotics courses that we had developed for kids are equipped with block based programming which is super fun to do along with your kid and can be done with zero programming knowledge. You can check the list of robotics school courses here. Well done! The robot is now ready to rock the school science project competition. Remember, the objective of doing this activity along with your kid is to improve their creativity, curiosity and analytical skills. You should use this opportunity to teach them HOW TO THINK for the years to come. If you are unable to find useful resources or materials to help your kid build a robot, do not worry we at Skyfi Labs will always be there to assist you on this. Keeping the above discrepancies in mind, we have developed some innovative school level robotics courses which are super fun to do along with your kid right from home. With the robotics kit shipped to you in 24 Hours and the course access provided, building robots will never be tough for you and your kid.